A colleague of Dr. Kuettner's once said there are three adjectives that describe the man - focused, curious, expansive. 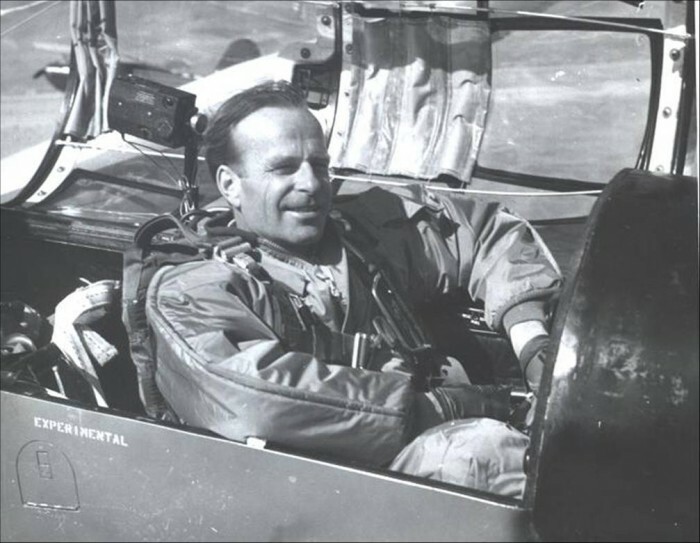 Joachim Kuettner (also spelled Kuettner) - a glider pilot, a researcher, a meteorologist, a space scientist and a man of exceptional ability who has made major contributions to the development of soaring. Joachim Kuettner was born September 21, 1909 in the city of Breslau - then in Germany, now Wroclaw, Poland. He earned a doctorate in law and economics at the University of Breslau in 1931. He learned to be a glider pilot while serving as a judge's assistant in small town German courts. However, his true love was meteorology so he earned a second doctorate at the University of Hamburg. His thesis topic was lee waves for which he organized an unfunded project utilizing 25 gliders equipped with altitude and temperature recorders. He received his degree in 1939 having presented the first detailed description of lees waves and a hypothesis based on hydrostatic theory. At the end of the war he said, "I wanted to go to a mountaintop and be alone." He then spent three years studying many atmospheric phenomena at the observatory on the highest point in Germany, the Zugspitze. Additionally, he healed his soul from the horrors of WW II by studying and writing about the flight of birds. At the suggestion of Dr. Wolfgang Klemperer, Dr. Kuettner came to the United States in the early 1950s (perhaps 1948) and joined the Air Force - Cambridge Laboratories. It was through them that he participated in the Sierra Wave Project (along with UCLA and SCSA). After a short time as the Scientific Director of the Mt. Washington Observatory in New Hampshire and as the American space program began, he went to Marshall Space Flight Center, participating/directing various projects associated with Mercury, Gemini and Apollo spacecraft. In an effort to avoid management duties, he left to become Chief Space Scientist with the National Environmental Satellite Center of the Environmental Sciences Services Administration. Along the way he was involved in many beneficial meteorological investigations including the Barbados Oceanographic Meteorological Experiment and the Global Atmospheric Research Program in the early 1970s and worked with the World Meteorological Organization. Later, in the 1980s, he joined the National Center for Atmospheric Research in Colorado and remained for the rest of his life, first full time and then as a consultant. In the soaring community, Dr. Kuettner is best known for his work with the Sierra Wave Project and the follow-on Jet Stream Project (as well as later wave associated studies with NCAR). For details of his Sierra Wave Project contributions, see the book by Bob Whelan, Exploring the Monster. In 1937 Dr. Kuettner flew the first scientific wave flight soaring to 22,310 feet in a Graunau. He continued his flight participation during the Sierra Wave Project. In addition to other flights, he flew to 42,000 feet but not enough to claim Bill Ivans' record which required him to exceed the existing record by 5%. 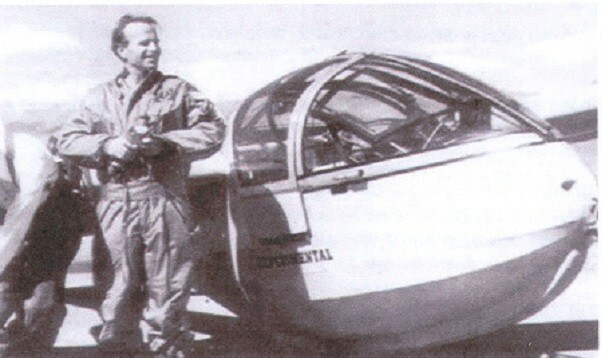 With Bob Symons, he flew to 38,305 feet (11,675.4 m), later broken by the Edgar/Klieforth flight to 44,260 feet (13,489 m) with a gain 34,420 feet (10,493 m.). Flying a TG-3A, Kuettner, with George Deibert, flying from Bishop to Williams, Arizona, demonstrated the feasibility of flying cross-country using wave soaring exclusively. Kuettner attributes his sustained love of atmospheric research to two traits: "curiosity and joy of adventure. If you can preserve these two wonderful afflictions through your life, you will never be able to stop exploring the atmosphere." He received the FAI Lilienthal Medal in 1955, the OSTIV Plaque/Klemperer Award in 1958 (first person), the Patrons's Gold Medal in 1975, the Tuntland Award in 1953 and 1955 and gave the Barnaby Lecture in 1990. Dr. Kuettner holds German Silver #42 earned in 1934 and USA Gold #33 earned in 1952. His International #23 Diamond earned in 1954 is listed on the FAI web page without nationality. (Diamond distance and altitude: March 19, 1952; Diamond Goal: April 4, 1954) He was one of the first six recipients of the Three-Lennie Pin in the early 1950s. Adapted from a Gliding International Essay - Celebrating the 100th Birthday of Joachim Kuettner.